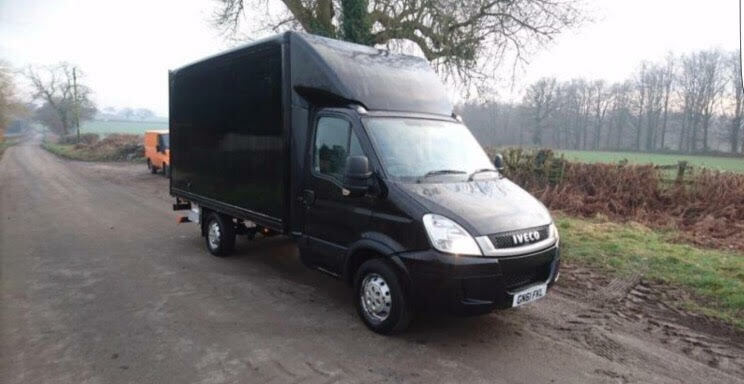 To make sure you get the best deal we'll show you great prices from all of our drivers, including Dean A Man & Van Transport, if they're available on the day of your move. 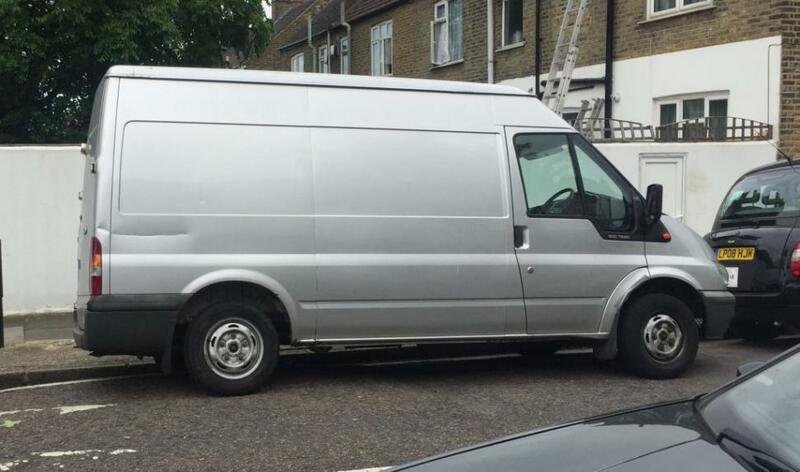 Have a question for Dean A Man & Van Transport? No problem, send them a message and they'll email you back as soon as possible. If you have a more general question you might find it answered in the FAQ, or you always contact one of our brilliant customer service team. * Dean A Man & Van Transport won't be able to see your email address. Dean and his colleague were absolutely brilliant. They worked so hard and logically as well. The way they sorted the boxes etc at the storage place was really clever and considerate. I honestly haven't come across a better removal company. I will definitely be using them again when we are ready to move! Dean was amazing. Very professional and fast. Great service and great price !! Our drivers were brilliant - there were loads of stairs (no lift) and a lot of stuff. They managed to do it within the time despite a few set backs in terms of stairs & parking etc. Thanks! Thankyou, fantastic and smooth experience. They were absolutely brilliant!! Very efficient and got all the work done in under the allotted time and made me laugh a lot! Great service and very helpful, would definitely use again. Thanks!!! Really great service, polite and professional people, they really deserved a tip! I just wanted to say a big thank you to Dean A Man & Van Transport. They were both extremely helpful and professional during our office move yesterday in London. Would highly recommend their services and will definitely use them again in the future. Thank you again. Throughly recommend these guys to anyone. Excellent customer service and very personable. Dean and his man were friendly, careful and efficient. Great experience and would definitely recommend!!! Excellent service; couldn’t recommend Dean and his team highly enough. Fantastic attitude and extremely efficient in helping me move flats. 5 stars. Dean, Leon and Moses were amazing! So friendly, strong and charming. They were totally brilliant and I highly recommend them. We will definitely be in touch to get their help next time. We underestimated the time we needed for the move but this wasn’t a problem for the guys. They were perfect at every stage. Highly recommend. Dean and his team were brilliant. They were polite, friendly and helpful. Highly recommend. Made my move as easy as it could be. The men were really helpful and polite Will recommend them to others. 5 star service! On time, great couple of guys, they couldn't have been more helpful. All done in suoer quick time and boy do they know how to fit stuff into a storage unit! Would thoroughly recommend them. I was not happy the driver came late. This meant that my partner has to bring all the funiture to the front of the storage company entrance by himself. I ordered 3 men for that job. To save time he did the removal as the place was closing 6pm. We booked the van for 1530hrs. The van came at 1720hrs. 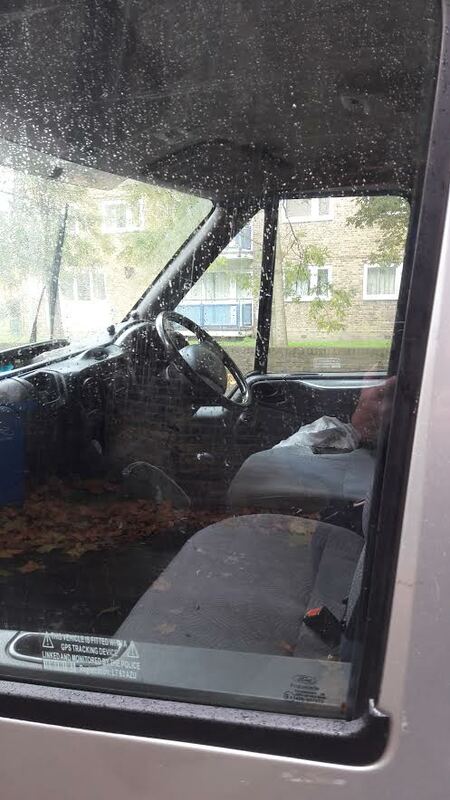 The drivers were polite and got the furniture straight into the van and then worked quickly to move things. But it did not negate the fact that my partner made things easy for them to do the job. I have paid them in full. I want to know if you can do some damage control by giving me compensation for this error. I reiterate the drivers and two other men were polite and did work hard. But my partner did the job of three men due to lateness. I contacted the customer and informed her that we were running late as we were stuck in East London, getting across London to Croydon was a headache, but I did keep the customer up to date. I do agree that most of the items were taken from the storage unit. Even with the text conversation , the customer decided to go to the unit without a conversation with me and was understandably annoyed as she was there for a little while. Unsure exactly how to respond, as I did request the customer to wait, she didn’t and is now complaining that she had to wait. I'm happy with the service, would recommend to friends! The two guys who helped is without move were really fantastic. Fast, efficient, energetic and very friendly. I would recommend this company to anyone. Excellent service - on time and quick with professional attitude. Excellent and efficient service, thank you. Dean and Moses were both great and made moving so easy. Lovely guys and we laughed from start to finish. Helper arrived an hour late. Due to this delay the move took 30 minutes longer than expected which we were charged for. Otherwise driver and helper were professional and respectful. They are very professional and kind. Highly recommended. I paid for the people, but there were only 3 people working at the same time for about 1.5 hours. They came in 2 trucks and the first truck was 15 minutes late, second truck was an hour late. They did not have blankets and it was pouring rain. Our mattress got very dirty because they slid it in the truck without any protection (ie, a blanket) beneath it. The guys were very friendly and courteous. Very experienced, friendly and efficient movers. The whole move was stress free. Thank you! Delighted with Moses and Warren who did a great job moving my furniture and dismantling a wall unit. Friendly and helpful I thoroughly recommend them ! The team is energetic, polite, careful, and professional!! We're extremely satisfied with the service. Absolutely brilliant - couldn’t have done it without them! They were a little late arriving, but we were late with finishing packing, so I worked out perfectly! Very good service - would recommend and would definitely use again. Very polite and hardworking - we had it done in half the time booked. Definitely use again. Moses was speedy and efficient. He was very careful with my fragile items which I really appreciated. Great guys, great service. Would recommend! The men worked very hard for much longer than I had anticipated, having to carry our belongings up several flights of stairs in the heat. They were very resourceful in getting furniture up difficult stairs . They were friendly & chatty. I was very impressed & would highly recommend them to my friends. I was highly impressed with Dean and his assistant. They worked hard and simply delivered. I will be recommending them to anyone needs this service. Superb! Very kind, helpful and friendly. Even helped make dads bed in his nursing home and set his tv up. Well "above & beyond the call of duty. And waited up the road while we got dad out. Amazing. Well recommended!!! I would use these guys again. They were quick, efficient and really helpful. A job well done, thank you. Dean and Moses were brilliant, there was a bit of trouble with a large sofa and they sorted it out. Very good humoured and a pleasure to work with. Dean is extremely professionnal and nice! And very efficient! We would hire him again in a heartbeat! This driver was extremely helpful, easy to communicate with and highly skilled. I recommend him without hesitation and in his he most positive terms. Dean and Leon were brilliant! We had a real laugh which totally relaxed me on an extremely stressful moving day! Would definitely recommend. Great friendly service. Would highly recommend ! 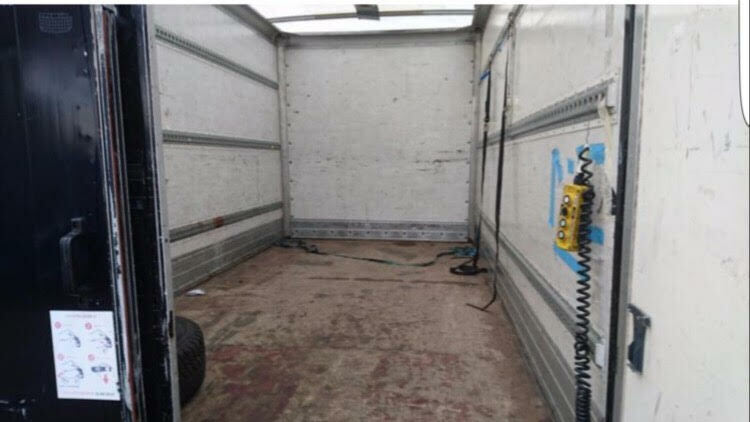 Dean clocked that the van I ordered wasn’t going to fit the items I had described, he straight away arranged a larger van to come. He was brilliantly helpful and quick! Highly recommended, excellent service from start to finish. Dean was excellent, I would highly recommend him and would have no hesitation in using his service again. He had a great professional attitude and very cheerful . Very nice guys. No problems at all. Very polite and jovial. Really hard working guys. Would definitely recommend. Brilliant guy, funny, quick and a very interesting to talk to, I would definitely want to use him again. Perfect combination of banter and professionalism. Dean was a bit late because of bad traffic, but he phoned to let me know. Both guys were very friendly, helpful and efficient. I was only moving one (big, heavy) item, but all went smoothly, despite awkward parking at the drop-off address. Thanks! Great service, highly recommend and thank you Dean and AJ! Dean was great. No problems at all. Best money I could've spent! Thank you team! Highly recommend, Dean and Sheldon made my move completely stress free! Dean and his colleague were a bit late but called me with plenty of time to let me know. Really efficient and quick, would definitely use this service again! Dean and Moses were great, they did a fantastic job and were very pleasant to work with. They were slightly delayed, but only by about 15 minutes, for which they apologised profusely. The van did not come with blankets and other security features, and we did feel that some items were handled with less care than we had wished - but there were no damages and everything was done very swiftly and professionally. We'd recommend them to anyone, especially if you don't have high-value, delicate items! Three items of furniture were scratched including my metal bed frame which will be impossible to repair. None of the items were scratched by us all items were strapped in the van, yes we were slightly late, but I did call the customer to let her know that we were running late as I scratched my retina and showed the customer on arrival with my swollen eye. I completely disagree with this rating and happy to get an open dialogue with the customer. Dean A Man & Van Transport were awesome. Super efficient and really nice people too. Would not hesitate to use them again in the future. Can only highly recommend! Dean and Ricardo are both lovely, friendly men. Due to parking issues and the fact that parking is a nightmare, Dean stayed with the van and Ricardo managed to removal from the flat single-handedly. At the other end, they both unloaded and moved the items up to my mother's room. I would highly recommend them. Nice friendly guys who I would recommend! Really pleased with the removal guys. Defo use again! Brilliant movers, made the event stress free and easy. Thank you so much! Dean and Rick were brilliant. Very friendly and quick. I'd recommend them to everyone. Despite being 3.5 hours late (the previous person had only booked them for 2 hours for a huge move), the guys were fantastic. They were helpful, fun, and completed our move within in the time we’d booked. Thank you for making it so easy (once you’d escaped the previous job)! We are very sorry to hear of this delay. Had we been made aware of it on the day, we would have been able to send you a replacement service with an earlier time of arrival. We do, however, have a lateness refund policy and we can see that you have already applied for this. Excellent. Very helpful and efficient. Recommended. Dean and Marvin were excellent. We had an enormous, heavy sofa bed that was too big to get out of the flat but they went beyond the call of duty to try. I totally underestimated how long we would need the men for - I booked four hours but ended up needing six. This led to them missing their next job but they didn’t moan. Compare the Man and Van should give them a big bonus because they are a credit to them. I would recommend the website based purely on the fantastic service we received. Dean and Rick were brilliant. Really nice guys and very efficient. Whilst nice and friendly guys, I wouldn't reccommend for moving services. My experience didn't reflect a lot of other reviews on here. Turned up over 1h30 late. Various items of furniture got damaged/scratched in the move, I was there when they opened the van door, and it was clear items hadn't been secured in place and had been sliding around in the van, some of the drawers had been emptied during the journey and the contents were on the floor of the van. As I say, couldn't fault the friendliness of the team - nice guys to go to the pub with, not so much for moving services. Dean and his time were absolutely brilliant, very logical, polite and helpful. Would highly recommend and would definitely use again. Excellent job. Made moving a pleasure with them. arrived over an hour late. the move itself and service was lovely. The best removal people, I’ve ever dealt with. Lovely guys. Worked hard and very pleasant to deal with. Ran a little late but kept me informed throughout. If I could give these guys six stars I would. Dean was extremely professional and treated my furniture better than I treat it myself. He was very adept at disassembling/reassembling furniture and was very careful not to scratch anything. If I ever move flats again, I will without a doubt hire these guys. If anything, these guys are definitely undercharging for an incredible service. Dean and Jamal were both efficient, helpful and hilarious. Would gladly use them again. They very kind and pragmatic and find the best way possible to deal with it on a road that was super trafficked. Big thabks! Fantastic guys. Very punctual, really friendly and willing to help. Made moving so much smoother. Thank you! I had paid for 3 men for 4.5 hours. Only 2 men turned up. When I queried this, they laughed and said they were the elite team. One of them was also on the phone to someone saying that he would be within them by 3 hours; again I queried this saying I had paid for 4.5 hours and the response was they were the elite team. While they were nice and friendly, this is a professional review; and professionally I was not happy with the service. I felt they did not respect my personal belongings. They did not wrap anything and the sofa and bed were delivered with stains from being shoved into the van. When they were dismanting the tv (which I had intended for the 3rd man to do while the other 2 were moving furniture) they tugged at wires and caused expensive DVD equipment, Bose speakers, Sky boxes etc to fall down. When I expressed my dismay and upset I felt they ignored and dismissed me and continued on talking amongst themselves and did not address my concerns or acknowledge or apologise. They did the same thing with the second tv dismanting, ie tugged on wires causing expensive fragile equipment to fall onto the floor. I felt they did not respect my belongings which were important to me. That was one of the reasons why I had chosen to self move; and use movers only for the large furniture items; ie because movers can be rough with items. When we arrived at the move in property, I felt they chit chatted a bit too much ie stayed in a couple of room s ie my bedroom for one, telling me where I should put the tv and bed and discussing it amongst themselves; and same with the gym, ie telling me where I should put the tv, what sound system I should have, and how I should arrange the gym equipment etc. All causing time to mount up; which I wonder whether was deliberate as they were here 5.5 hours; which was an extra hour over. They then charged me £65; when it was supposed to be an extra £32 I believe for each extra hour. If I had had 3 men in the beginning they would have been well within the time limit as one would be dismanting while the other two would be moving furniture. Highly disappointed. Again while they were pleasant enough and friendly, I felt they did not respect personal property, were dismissive and one of them was on the phone a lot of the time, which made me feel I was in his way. I would not use the service again or personally recommend it; even though they were friendly and joking; I felt they could have respected my personal property more, been more validating and apologetic when causing property to fall and for the right amount of people paid for turn up as requested. I had also decided to not load the van up with furniture that I said I was going to. Put me at ease NO dramers, NO problems, very respectful, got the job done. Will use again. I would highly recommend these guys! 100% and more! There were super professional and friendly. My lift broke in the middle of moving. I had so much heavy stuffs like an industrial sewing machine and a huge mirror etc, in my 3rd floor studio. I wanted to give up but these two guys were amazingly positive and helpful. I was so lucky to have met you guys. Dean was fantastic. Even in a snowstorm, he managed to get everything from Point A to B in one piece. We have an incredibly disappointing experience with this moving company. From the start, they arrived late and didn't inform us ahead of time. While moving our items, I kept asking them if they had blankets and reminded them to use them when moving the larger wooden furniture. Our dining room table arrived in our living room with a large dent and subsequent scratch. The movers took absolutely no responsibility and repeatedly said we did not scratch your table. The table was in perfect condition when they arrived and is now ruined. When I asked whether they used a blanket, they said no but it was that it was standing upright - this after reminding them 4 times to use blankets and be careful with the table. The movers were completely unapologetic and refused to take responsibility. They also slid wooden furniture along a wooden floor without lifting it properly. Do not trust the reviews for these movers, hire professionals who take responsibility and care of your belongings. A thoroughly stressful and disappointing experience. I am very annoyed at this customers review as it is completely inaccurate and a complete disgrace. Firstly I did arrive at the customer slightly late (arrived at 11:15) however I did call the day before to say that I would be slightly late as the job I had beforehand finished at 11. (See the call log above) customer didn’t answer, so I left a message to call me back. The booking was made for 2 hours and lasted 3 hours 15 minutes, never once did I or my second man complain or make a fuss, even though it had a knock-on effect for the rest of my day. We had to also go down two flights of stairs which I didn’t charge the customer for not make any reference to. 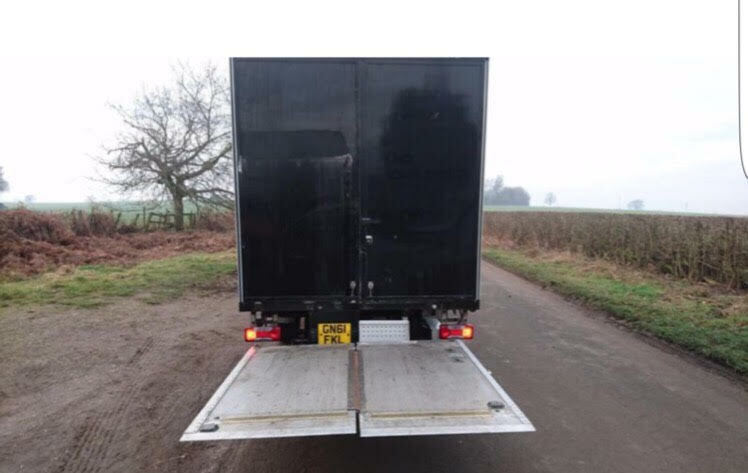 The customer did request her table to be wrapped in blankets and I told the customer that we had blankets in the van, I completed the job in my Luton van (but the customer only ordered a medium) so after everything else was taken to the van, we took down the tv, tv cabinet and the table. As the van wasn’t full I strapped the table upright against internal wall blanket attached to the side of the van with nothing against it. I would’ve wrapped it if there was other furniture, but there wasn’t so it didn’t make any sense. Everything was then taken Upstairs in the lift and taken to the property door where the customer and her family distributed to relevant rooms. Apart from a tv stand, tv, two makeshift filing cabinets, the majority of these were bought in by myself and I recieved assistance from the customers Dad. No other items were taken inside the property beyond the from door porch area. As a stressful / poor experience, that has nothing to do with myself as the customer was quite disorganised - you can see attached text messages that she was sending to me that was due to the porter of her building. I categorically deny ANY damage to the customers table, but clearer informed her that if she felt that the damage wasn’t her and she said that she had evidence that the table was in perfect condition immediately prior to the move, to present this and I would be happy to claim on my insurance, but neither did I or my second man damage the table therefore I do not accept any responsibility, the Customer then became rude and condescending which at that point I asked her for my money so I could leave and attend my next job. Making remarks such as “the scratch magically appeared” is never a way to try and resolve an dispute. Told the customer to follow the complaints procedure and to go from there. I have over 200 reviews from customer, why would I decide to offer a poor job to one Random customer? It’s absolutly ridiculous to accept this nonsense. Please send evidence of the perfect conditioned table and if there is evidence it happened on the move, I would happily pay for repair or replacement if irreparable. Excelent service, professional and very supportive. We defenitly recomend to organise your move with Dean. Absolutely excellent and great fun! Courteous, helpful and went the extra mile would thoroughly recommend. Although our original driver cancelled an hour prior to starting, compare the man&Evan were quickly able to find a replacement who was brilliant. Dean was a proper professional throughout and would recommend him to anyone. Good stuff. Very nice guys, quick and professional. Highly recommended. Dean and Jay were incredible, I can't recommend them enough. Thank you guys!!! Excellent service, they went above and beyond to make sure I was happy before they left. Fantastic friendly and professional crew. Would definitely use them again! Dean was AMAZING! We hired him to help us move from London out to Oxfordshire. He arrived on time with a cheery attitude (much appreciated when moving house). He asked us what items were fragile and took extra care. Would definitely recommend him to anyone needing a man and a van! The guys did an excellent job! Punctual, polite and very quick. Would definetely recommend them and would happily choose them again! Both driver and helper were very nice, hard working and made a long day as easy as possible. Very happy with the service. Would definitely recommend and use again. Dean and Jamal were fantastic - we would definitely recommend them. Really helpful and were so polite. If we ever need this type of help again we would certainly not hesitate to contact Dean. Overall very impressed, thank you. Great guys got the job done quickly despite my huge amount of stuff and were fun to spend the morning with moving. Would book them again if needed. These guys are professionals. Hardworking, trustworthy and very customer focussed. Good at lifting things too. Made our house move go so smoothly. Thanks guys. Was running late but that was fine, he called to let us know. Thank you for your help! Dean and Jamal were both extremely efficient and hard-working, more than once taking the initiative to make improvements, even though it meant more work for them. They were also very good company while they worked, especially in the van, although they could work on their knowledge of capital cities! Our driver was very friendly, very quick and made the whole process extremely easy. I wouldn't hesitate to book them again. These guys are amazing. Not only were they extremely friendly, trustworthy, turned up on time and well mannered, but they also made sure to make myself and my girlfriend feel completely at ease. We had a good laugh all day whilst moving, for what would have usually been an extremely stressful day. Many thanks! This is the second time we have used Dean to move one of our children, absolutely brilliant. Reliable , efficient and incredibly trustworthy. Cannot recommend highly enough. Dean couldn't have been nicer or any more professional. I felt safe with them which is very important to me. The day was fraught with disaster with the panic that my 4 poster bed would not fit into the lift from my old flat ( it did, we discovered it could be dismantled into smaller components).Then the lift at the new flat was not working, which meant we had to take everything up to the 3rd floor, to my new flat during one of the hottest days of the year. I would highly recommend Dean Alfred Man & Van transport. Trustworthy, friendly & highly professional. Brilliant service, an invaluable help to us and a good laugh! Thanks! Really quick working, friendly people - thanks! Would use them again and definitely recommend them. 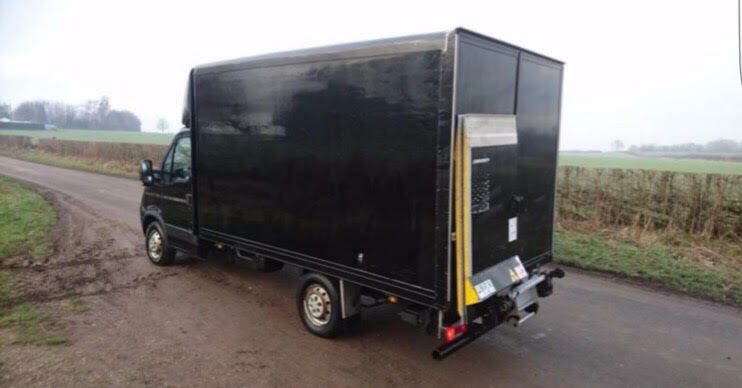 Hired Luton van with driver and helper. Hour before move time called to say only driver. We helped Dan who was brilliant in moving us not his fault as he was let down by his helper. All good very happy . great people -- very professional and effective. Dean and Dan were brilliant, would definitely book them again in the future! Absolutely fantastic helpful, patient and fast service. Really nice guys and would recommend to anyone. Even took an old chest of drawers to give to charity. Couldn't improve, perfect service! The move went really smoothly Dean was great and the move was quicker than anticipated. Would definitely recommend to a friend. Dean was excellent, very punctual and accomodating with our move. Dean was helpful and solution focussed throughout and it made the whole process far easier to manage. Excellent value for money and a brilliant service, would definitely recommend. Thank you Dean and Dan for all your help! The two of you made a mundane task of moving so much more fun! Best removalists by far! Would not hesitate to recommend you guys! Driver was very helpful and friendly. Really happy with the service. The driver was on time (despite a lot of traffic) and efficient. Top bloke very helpful and friendly !!! Dean and Jason were fantastic. Friendly, patient, reliable, and careful with all our items. Despite this move being a mammoth task over a long distance, Dean stayed optimistic and all was completed with no problems. Great communication in advance of the move too. Our driver Dean was incredible! He made the move really easy for us and stress free. Would definitely us him again. Dean was absolutely first class. Professional, very friendly and helpful. We would wholeheartedly recommend him. We could not imagine anyone better to help us move house. Outstanding service, Dean is very helpful and will get the job done, highly recommended. Really friendly guy. Happy to help moving things the other end of the move too. I hired 2 guys and the van. They were fantastic. Very polite. Very quick and efficient. Nice guys who just got on with it and made my moving in day easy. Would certainly recommend and will use them again. Dean and Pierre were great. It was a very difficult move , took way longer than I thought, but they kept a smile on their faces. Thanks guys!!! Excellent service from Dean and his colleague Pierre.! Very pleased with the move. Dean was very friendly and helpful. Excellent! Really friendly and helpful. Calum got stuck in traffic on the way to us but, even though it was only 20 or so minutes, we had a call in advance to let us know and what his eta was likely to be which was really helpful (which is why I've said yes to the driver being on time). The van didn't have any straps that I was aware of but the floor was carpeted and our few larger items were well packed in to make sure they didn't move about. Calum was great, friendly and helpful and the move ended up done far quicker than we'd imagined. I would happily use this team again and definitely recommend them. Best Moving ever!!!! Tin was very professional,helpfull and friendly. It was stressfree moving and I had a wonderfull chat with him. I will contact him again for futher moving. Really excellent service, very helpful driver, original driver broke down but another was sorted in an hour or so. Would definitely use again. Dean was great! He did a wonderful quick job! I would definitely recommend him to anyone who wants a strong, fit and friendly guy to move their stuff. Thanks again! Dean was amazing! I'm definitely booking with him again for my next move. Dean was superb. Did as much multi tasking as possible. Kept checking if I was OK with the weight to carry along with him. Very warm and professional. Will certainly recommend him. Dean made the move so much smoother than I had expected. Finished more than an hour earlier than expected and had a good laugh doing it. Would definitely recommend. The driver was very good. Helpful, friendly and hardworking. But the assistant was a bit slap dash and reluctant to pull his weight. Dean was friendly and super helpful. Recommended. It was a pleasure to spend the morning with Dean, it made our move much less stressful than anticipated! Dean was great; on time and was very helpful with helping to move things in and out of the van. He was cheerful and friendly throughout the trip as well. Great service, really friendly and got the job done quickly. Would definitely recommend. it was a small move, done very quickly and very well. 30 minutes to load and another 20 to off load. all delivered intact, nothing damaged and cheerful service too! Dean gave 110% - helpful, courteous and patient. Made the whole move a pleasure. Great van chat too. Driver was very helpful and friendly. I needed to alter the time at the last minute and the driver was extremely flexible. very helpful and communicative, really happy to have chosen Dean to help! I had a really good driver called Dean, really nice guy and I will be using him again next time I move. Dean was very friendly, helpful and on time. Overall great experience. Would definitely hire him again. Dean was super amazing! It made the move a more cheerful one and I had a great laugh with him! He knew the area very well and so found a parking spot very quickly (being that a difficult area where to park...a van above all). I do strongly recommend him if you need to move and I will definitely use his service again! Dean was extremely helpful and hard working. I would certainly use him again. Highly recommend. Polite and friendly. Driver very friendly and professional! Awesome work! Excellent! Dean is super helpful. He makes the moving went super smooth and quick. Dean was awesome. He went above and beyond what he needed to do, even getting me brownie points with my girlfriend! Had a good laugh all day. Can't recommend him enough. Dean was a top quality driver, I'd book him again just for the bants. Dean was brilliant arrived early was a perfect gentlemen thank you. Dean made the move a painless experience and was very helpful throughout. Would happily recommend him and will be using him again. Great communication, helpful, friendly and on time both ends. Highly recommend. Dean made our move way less stressful than it would have been. Laidback and friendly attitude and also very efficient. Everything was neatly stacked in the van and arrived safely. Would definitely recommend. Dean and I are now best friends! He was beyond helpful and a pleasure to spend 3 hours with! Dean was great. Super efficient, caring and quick to respond to all correspondence. Thank you Dean for helping! Really great experience with Dean - would definitely use again and recommend! Great service and great guy - pleasure to deal with, highly recommend! I really cannot recommend this driver/service highly enough - he was brilliant. So helpful and cheerful. He was prepared to go the extra mile for packing, loading and driving and we will certainly hire him again. Dean was brilliant - he arrived early and was able to load the van in less than 10 minutes! Fantastic service, super respectful and efficient. Thank you. The driver came earlier than collection time. Really helpfull. Helping to load and unload. Would recommend to anyone! Dean was really friendly and easy to work with. The reason we were moving furniture out of my late sister's flat was it was going to charity and we hadn't had time to arrange for them to come and collect it. During the move, my brother found out that Dean worked a Refugee charity, spoke to his boss and we were able to give them the furniture rather than it being brought back to our house for disposal. Was very pleased with the result and save everyone time and gone to a good cause which my sister would have liked. Thanks very much for excellent service. Very good, vet pleasant and excellent at packing into tricky spaces. Dean is a fantastic mover! Got everything loaded up nice and quickly, nice driving style so I knew everything in the back would be fine, and was friendly and chatty throughout. If you need a man and van, Dean's the man! Great service. Dean is a friendly helpful guy. Thanks. Dean was great - punctual, helpful, great at working out how to get everything packed in the best way possible to prevent damage, and good company on the trip to the new house. Highly recommended. Dean was an absolute legend! :) Friendly,chatty and made my moving easy and fast, would definitely call him again. Dean was very friendly and efficiently moved all the items from our old place to the new flat. Would hire him again. Dean was really conscientious and friendly - we'd definitely work with him again. What a fantastic service! This guy is seriously impressive with how he managed to pack all my stuff in to his van... a true tetris master! He was really respectfull of my stuff and was really professional. Dean is genuinely a nice guy and can be completely trusted from my experience. I'd happily utilise his services again. Dean could not have been more helpful, he took extreme care with our belongings and took the hassle out of our house move, extremely professional and would definitely recommend to anyone. Great guy and made the moving process very easy for us. Would highly recommend Dean. Excellent experience! Dean was on time and a very pleasant company for our one hour drive to the airport. Highly recommended! Dean was a really nice guy! Really happy with the service and would definitely use again. He was early, and called me and asked if that was okay. It definitely was! He was super friendly the whole move and felt like a part of the gang, as we had some friends helping us out too. If I need to move again and he's still in business, I'd definitely book him again! Thank you so much for your help!! The driver who was meant to do my pickup messaged me very shortly before my booked time to let me know he was at a mechanic's and "wasn't going to be on time", and didn't seem to think this was too much of a problem. I had to contact the office to request a different driver. My booking was therefore late, however the Compare helpdesk and the driver who picked up the urgent job were very helpful and made things happen as quickly and smoothly as possible. The driver was friendly and courteous, and called in advance to say he was stuck in traffic, and would be delayed by 10min. Good driver, too. Excellent, easiest move I ever made. We were done within an hour, in spite of boxes splitting! Driver was very polite and helpful. In spite of having booked a same-day service and on top of that, after 22.00, he did everything with lots of enthusiasm and didn't complain even once. He also made sure I was OK when I was trying to help carrying some light-weight items. I'd recommend his service without a doubt. He was a massive help and really easy to get on with I would recommend him to anyone. An hour late due to a previous job running long, but let me know well in advance. Very friendly, helpful and efficient, and I even got a free guided tour of London thrown in. Dean was ace. Very helpful, very good at packing, very patient and great chat. We'd use him and his van again. Dean called to ask if he could come along earlier and allowed us to pick a time when we were ready. He was very polite and did more than was required to do for the job, taking half the expected time to complete it! Very smooth driving and all of our items arrived in perfect condition. Dean was very helpful and friendly. Everything went incredibly smoothly. Amazingly efficient and very easygoing - would recommend!! Only reason for not being 5 star was he was running a bit late, that being said he kept me completely in the loop and was super helpful. A good fast move! Will definitely recommend Dean to friends and use him again! Lovely guy, very respectful, helped me no end and even bought me a bottle of cold water because it was such a hot day. Couldn't recommend him more. Great value for money. Absolute perfection. Dean arrived early and phoned ahead to ask if this was ok. He advised me about sizing and was very efficient, using space effectively and moving my stuff quickly and carefully. He was very friendly and made the whole experience stress-free, which was unexpected. I would thoroughly recommend Dean, and he will always be my first choice in future. Excellent driver. Massively helped me out at sort notice. Will definitely use again. Thank you! Very helpful driver grateful for all the help will use again. I had never used such a service before & felt at ease and trust when dean called just called to touch base. Smooth and reliable service ! I would 100% recommend dean and go to him first if I need this service again. Dean was a great help to us in moving our things into storage. He is very good at managing space and a very nice person. Dean was a late replacement driver and I couldn't have wished for better. Dean was punctual, polite and even arranged for me to get a lift to the pick-up point on his way there. I would definitely recommend Dean for any job you have. I was provided with a replacement drivcer at the last minute who arrvied an hour late - that said, it was not his fault. He was polite and very helpful.